Abstract. The outstanding diversity of flora and fauna of the Indo-Australian Archipelago has captivated the interest of scientists. This region contains the most diverse coral marine ecosystems for at least 25 Million years. In this seminar, he will discuss aspects of the origin of this diversity with respect to environmental change. 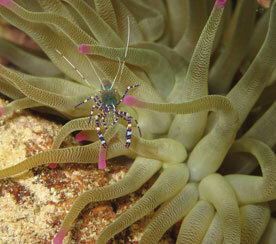 Over this entire period coral genus, and a little bit less species, richness has been high. However, recent work has also shown that the reef habitat availability as well as habitat types have varied markedly during this period. In this talk, he will evaluate the occurrence of reef ecosystems, corals and larger benthic foraminifera in SE Asia and Australia throughout the past 25 Million years. He will argue that these habitats changed markedly in character and extent, identifying the Pliocene reef crisis and its causes. Biography. 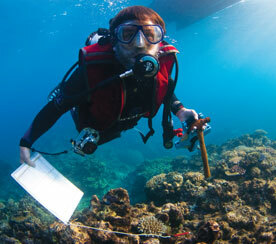 Willem Renema is a research group leader Marine Biodiversity at Naturalis Biodiversity Center. Over the past twenty years, he has worked mostly within the Coral Triangle on the ecology of highly diverse turbid reefs over a range of timescales. His foremost speciality is the larger benthic foraminifera, but this cannot be seen detached from an understanding of environmental change.